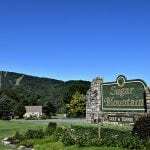 Sugar Mountain is located conveniently between Boone and Banner Elk. Sugar Mountain is home to the famous Sugar Mountain Resort, featuring numerous ski slopes, condos, festivals, and the yearly fall Oktoberfest. Sugar Mountain is surrounded by many world class restaurants and wineries, and several amazing small craft cafes. This is the perfect place to consider your new home.